The Hollinden Team's newest listing for sale can be found in desirable Plainview Place in Eastern Jefferson County of Louisville, KY. Plainview Place is the newer section of Plainview with homes that are 15-16 years old. This was a great home that sold in 9 days. Contact the Hollinden Team today to see how we can get your home sold. Our seller is relocating and hates to leave their lovely well maintained house. This all brick home has 4 bedrooms and 4 baths (2 full and 2 half). On the first floor you will find an over-the-top updated kitchen. Any cook would love this kitchen with smooth top range, built-in oven and a GE Advantium convection microwave. The granite countertops add a great touch to this kitchen. The eat-in kitchen and great room allow for an open design that makes entertaining a breeze. Another lovely touch in the great room is the large bay window that allows light to flood the room. There is a nice sized formal dining room on Brazilian Cherry for those special occasions. The bedrooms can all be found on the second floor. The master suite is spacious and has room for your large furniture as well as a TV. The walk in closet has plenty of space for all seasons. The cool thing about this closet is that it leads right in to an added bonus room adjoining the back of it. This space could be used as a private reading room, office or nursery. The master bath boasts a large vanity, a separate tub and walk in shower. You will also find a large laundry room on the second floor with lots of nice cabinetry and a double sink. The cabinets were in the kitchen before the remodel. The downstairs of this home is finished and has a nice family room, guest bedroom and a half bath. This area is perfect for your out of town visitors. The outside living space of this home has loads to offer as well. The star attraction is the bug free screened in porch with a vaulted tongue and groove ceiling. A ceiling fan will keep you cool when the temperature starts to rise. Relax and soak up some sun on the uncovered part of the deck or let the grillmaster get to work on the aggregate patio area. The large back yard is fenced for privacy with lovely landscaping and mature trees offering plenty of shade. The landscaping and lawn are kept in tip-top shape by the irrigation system. What more can you ask for? 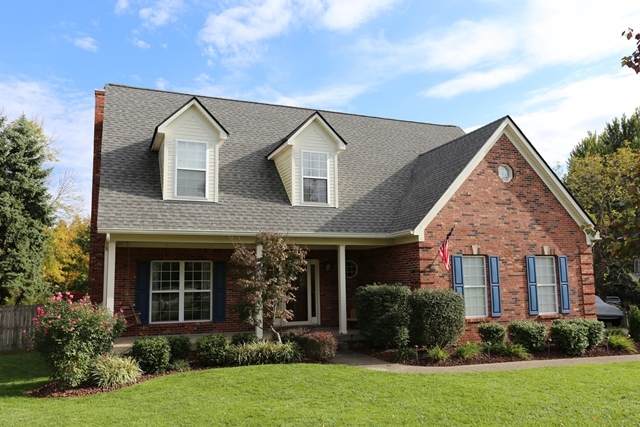 This home in the desirable Hurstbourne Plainview area has everything. Check out the video below to see for yourself what all the fuss is about. This location is convenient to major roadways like Hurstbourne and Shelbyville Rd, and I-64 for easy access to downtown Louisville. It is convenient to shopping and plenty of dining options along Hurstbourne. Who needs a pool as we are close to the Plainview Swim Club. Call The Hollinden Team today to arrange your private showing. If this home isn't quite what you're looking for, there are several other Plainview homes for sale in this area. Tim Hollinden can help you with any home for sale in the area, even those For Sale By Owners. Call Tim today at 502-429-3866 to discuss your home buying and selling needs.